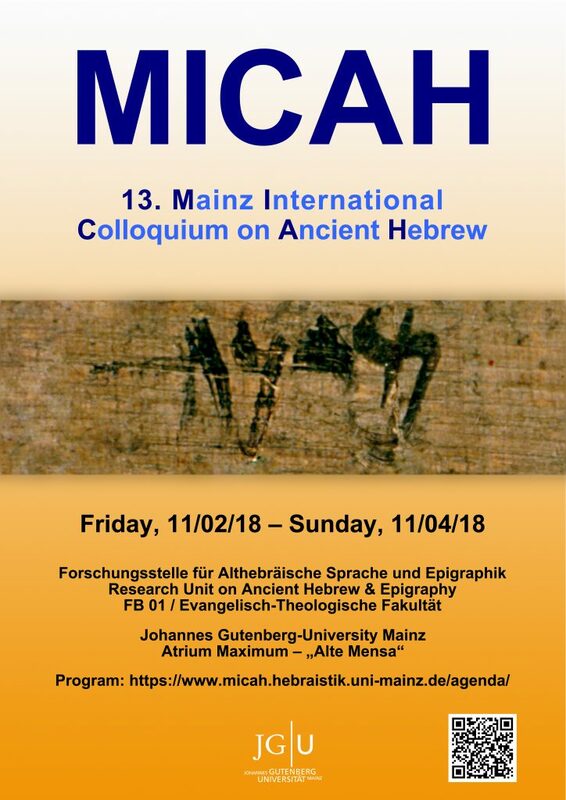 The 2018 Mainz International Colloquium on Ancient Hebrew was held at November 2018, 2nd (friday morning) — 4th (sunday afternoon), at Johannes Gutenberg University of Mainz. In charge of the Research Unit on Ancient Hebrew & Epigraphy / Ak. Dir. Dr. Reinhard G. Lehmann and Prof. Dr. Anna E. Zernecke (Kiel University), by assistance of Kwang Cheol Park (Research Unit on Ancient Hebrew & Epigraphy). Organization office & correspondence: Benedict Totsche. More information on the following sites.